Search for biotechnology and look at the massive results, now imagine a service that cuts out 95% of the static and gives you what you need. 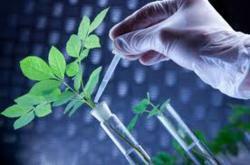 Biotechnology data is outgrowing users. Representatives of Computer Review announced today that the information volume in the Biotechnology sector had experienced unmitigated growth in the last few months. The biotechnology sector includes companies in agriculture, food production and medicine -- large sources of news, blogs, markets, executives, jobs and global information. Because of the off-the-charts growth in knowledge, its uncertain researchers can get a handle on this changing sector with today's research tools. This is news because the amount of information coming from the Biotechnology sector represents a stubborn mountain to researchers. Computer Review cuts out the 95% noise and clutter of search engine results to deliver original sources from executives, companies and universities. Of the 3808 companies in 66 countries that Computer Review monitors in the Biotechnology sector, most provide original source material beneficial to subscribers. The Biotechnology sector, concerned with developments in the life sciences to grow commercial products, continues to expand, encompassing new areas of inquiry like polymer based drug delivery, tissue regeneration and 3D Ultrasound image-guided radiotherapy. Bio-medicine and stem cell research comprise this sector, but it includes countless areas of study. For instance, if subscribers want to search for a physician’s perspective on Parkinson's Disease and an overview of current treatments, then their search should begin with Computer Review's selection chart. The latest scientific news on adult stem cell research or an understanding of why adult stem cell research is important can be found at Computer Review. It is a one-stop, comprehensive resource to the knowledge economy. Available interactively online, Computer Review covers today's news in the fast growing Biotechnology sector. With knowledge gained from the application of systems like adult bone marrow and stem cell transplantation and the treatment of cancer cells and the improvement of therapeutic drugs, researchers can discover the necessary information to produce commercial applications. Just getting a handle on the pure biological sciences underlying Biotechnology takes an enormous amount of information. As the global knowledge economy grows and researchers' knowledge expands exponentially, information is becoming too big to quantify efficiently. Computer Review organizes vast amounts of information and presents it in an easy to use context. The self-updating directories at Computer Review allow unlimited access to invaluable source material. Because the Biotechnology sector is grounded in the life sciences, there is an almost even distribution of source material from among countries in the world -- another reason to keep on top of the expanding global knowledge. The countries contributing significant information in Biotechnology include the US, India, Australia, China, France, Germany, Israel, Canada and the UK. Computer Review's ActiveTrak™ system monitors 30,000 organizations in 120 countries and formats the information for easy use. The Knowledge Economy Selection Chart allows subscribers to view knowledge of Biotechnology by categories including news, markets, executives, blogs, jobs and global information. Knowledge is constantly evolving. Subscribers can research changes in the business of health care diagnostics or personalized therapies for cancer patients at Computer Review. The knowledge Computer Review helps subscribers understand a pharmaceutical company's annual goals and financial needs, or how a company has developed microsystems that harness energy and convert it to mechanical motion. Topics like Tissue Regeneration technology, bioactive chemical compounds and functional genomics require a high level of original source information to be useful to researchers. Computer Review provides the source material and counts among its subscribers college universities as well as government and corporate libraries. Enter any Biotechnology term or topic in a typical search engine and look at the results you get. Imagine a service that cuts out 95% of the clutter. Computer Review's subscribers get content-rich source material fast.